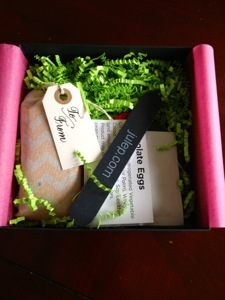 Julep Maven Spring Mystery Box Review and Giveaway! Update: Congratulations to our Winner, Dayna C.! An e-mail has been sent notifying her! Stay tuned for our next giveaway!! Julep is a nail care and polish company (They have a few salons in Washington state) with a subscription box called Julep Maven. When you first sign up to be a Julep Maven you complete a survey to determine your polish style, with one of four possible results. Not only can you skip a box, but you can switch polish styles each month as well! They typically send an email when each month’s selections are ready and you have 4 days to either chose your style or skip, you also have the option of including “add-ons” which are discounted products you can “include” (they usually ship in a different box) in your monthly box. The base cost is $19.99 per month including shipping for two polishes and possibly a product or two, all valued at $40.00. Also as a Maven, you will 20% all purchases from their website. Every so often Julep puts out a “Mystery Box” usually for an upcoming holiday an the cost is around $19.99, and most recently they have guaranteed a value between $70.00 and $200.00. So with this in mind I ordered two!! *Use coupon code JULEPVIP to get your first box for $.01. WooHoo! My Spring Mystery Box arrived! 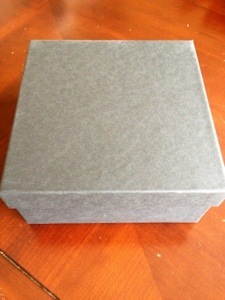 The total value of this mystery box is $79.24, not bad compare tho the $24.99 I spent. I still farking love Julep, in fact, I want to share the love with my readers! So, here is my Spring (not so) Mystery Box giveaway for all of you! I hope one of my readers enjoys this as much as I do! This contest will end at Midnight on April 6th and after all entries are verified as valid at that time, I will announce the winner! Happy Spring and Good Luck to Everyone!! *Hint: Follow my blog before clicking either of the above links! Camille – Glitter that goes with everything! I am really excited about this sine I never tried Julep! I like the Alicia coral color, or any yellows!